To celebrate Halloween we have a new year print of the god of Feng Du, Feng Du is a physical province in China where it is believed to be occupied by ghosts and spirits, a city where the dead goes to live. (unfortunately since the Three Gorges Dam project, the ghost town is now submerged in water with only a small island remaining, so there is little chance of visiting it before death. well, it will be rather cramp as well … o dear) For Taoist, the god of Feng Du is the controller of all spirits and is in charge of the Hell god, Yan Luo Wanɡ (Yamaraja), he also has 72 helpers who monitor on people during their life time. At death everyone would be led by officials with the head of a cow and a horse to Diyu where one’s deed will be judged, life long sins will be punished. At the end of the punishment (the length of time will depend on the sins) one’s spirit will be renewed and reincarnated into the next life. 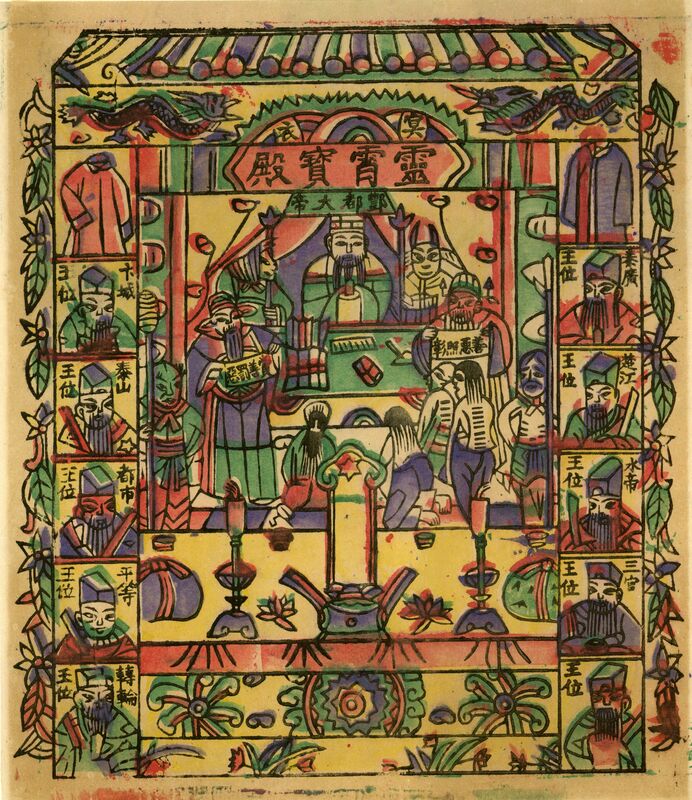 Diyu is divided into 10 courts each headed by a Yama king (their portraits are shown on the 2 sides of the print) who reports back to Yan Luo Wang.